You have strongly motivated me to write a post on Durga, her reverance, her attributes, the ‘pandals’, her relevance to Bengal and the Bengali community. 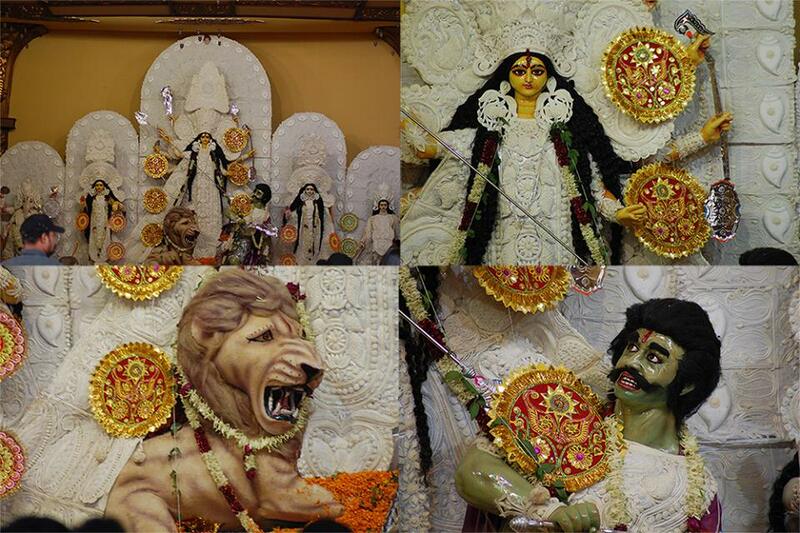 I will take a valiant attempt in keeping with the spirit of the Pujo, hoping not to let you down. If you have grown up in India or anywhere on Earth you would have come across elaborate ‘pandals‘ coming up around the month of October. These usually host a series of much larger-than-life idols made of mud and hordes of people visit these daily for 5 days of the year. 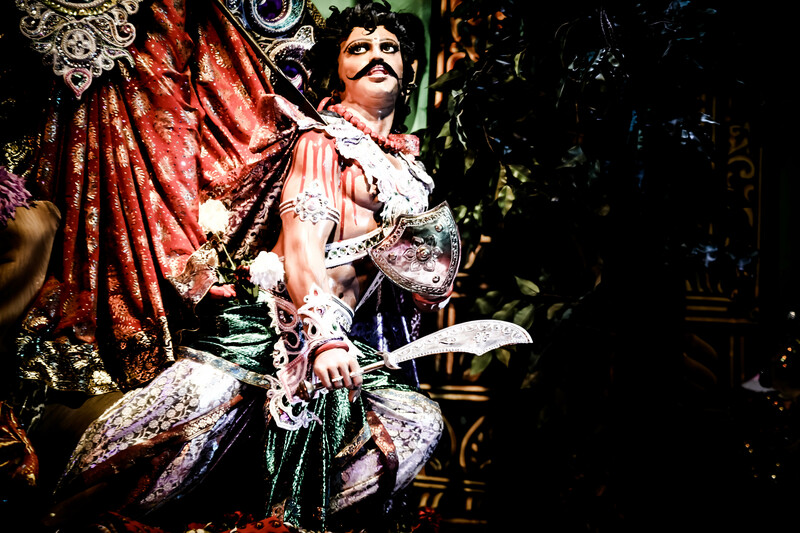 The idols are human-like representations of Gods and Goddess of the Hindu pantheon. A beautiful Goddess is the central figure, standing tall with an enchanting smile she is holding a blood – smeared ‘trishul’ (trident), there is a human like monster at her feet with a gaping and bleeding wound! A moment seems to have been frozen in time but what has led to this moment? What is this drama all about? Is there a story leading to this violent act? Why is this Goddess smiling, she’s just killed someone??? 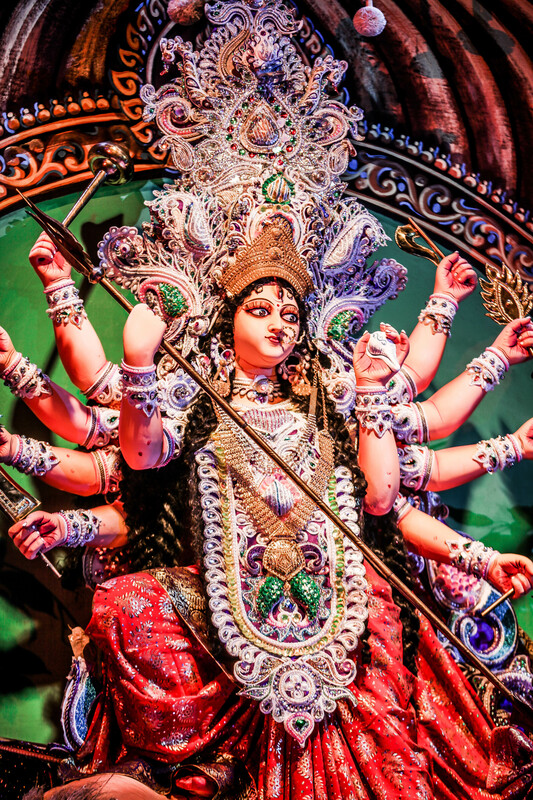 And, why is this idol, called Durga, so important to an entire community of apparently non – violent, artistically inclined community of once the largest number of educated Indians? Why does this community seem to go mad these 5 days and queue up for hours outside the ‘pandals’ to “see” this Goddess? If these days are religious celebrations in honour of a Goddess then why is there so much fanfare, ecstasy and food, especially so much food, around? The last is easiest to answer: Bengalis and Food are inseparable, they consider this a crucial aspect of human existence. Food has no caste, religion, colour, fragrance, country, race, geography assigned to it. Food is an all-unifying item for a mortal life, why bother about anything else? And, those who have eaten a ‘phuchka‘, ‘jhalmuri‘, ‘mishti doi‘, chicken roll, fish fry or even ‘khichudi’ will swear by Food, even if they are not born a Bengali. Now, having unearthed the reason behind most of the people in those queues and with your hunger pangs initiated, we move on slowly towards the arena leading to the main idol. Durga, daughter of Himavant and Maneka presiding deities of the Himalayas, was married at a young age to the terrifying Shiva, the Lord of the Mountains. She has to reside with Ganga, Shiva’s other wife, and has to tolerate his anger and addicted trances. Her parents are always worried for her and when she leaves him to visit her parents for 10 days (starting ‘Mahalaya’) there is much excitement. After all, she is visiting her paternal home with her children leaving behind her miseries, pain and sorrow – is there any time for agony and desperation? This story struck a chord in the hearts of the Bengali women since child-marriage was a very common occurrence for several decades in Bengal. Even today, every married Indian girl, whatever caste, community, religion or state, looks forward to the times she can spend with her own parents in their home. Not only the Indian state of West Bengal, but Bihar and the 7 North Eastern Indian states get into a holiday mood much before the beginning of the festival and prepare themselves for the arrival of their beloved daughter Durga with her children Laxmi, Saraswati, Kartik and Ganesh. There is a lot of love, adoration and veneration in the creation of the idols of Durga and the other Goddesses and Gods, it is considered that the creation of these idols is similar to the act of the Creation of the Supreme Being. 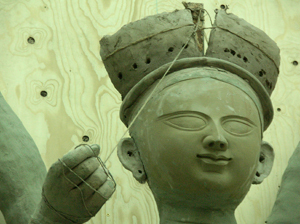 Though Hindi and Bengali films have depicted the day of ‘Visarjan’ or tearing away the Durga Idols from the ‘pandals’ to their immersion as a visually attractive scene with super-happy women in red and white saris smearing ‘sindoor‘ on each other, it is considered the most painful part of the entire Pujo, since this is when the daughter of the house has to leave her parental home. 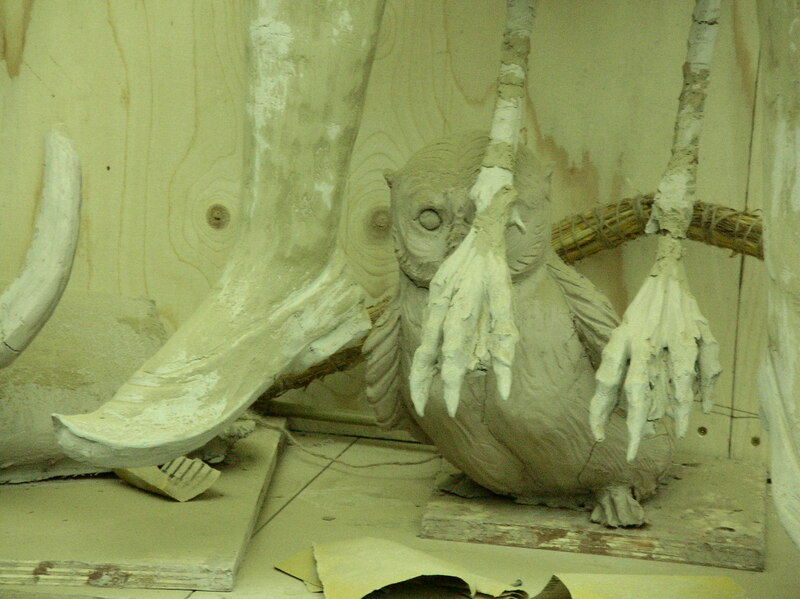 She is immersed and the clay with which she is made melts into the water – symbolising the meaning and futility of life. The Child Marriage Restraint Act came into effect as late as 1929 in India with the eligible age of marriage of girls raised to 14 years. Most of you Rajasthanis will be aware of the evils of young girls, as small as newborns, getting married on the so-called auspicious day of ‘Akha Teej‘ in Rajasthan, a crime in India as the eligible age of marriage of girls is 18 years. Sadly, the Census Report of India, 2001, mentions that “6.4 million young girls in India are married off before the age of 18 years” – an evil that we have not been able to address and vanquish even after 15 years of this Report. Hence, the context of the Pujo still remains unchanged. This story has a violent aspect to it, there is no scope of pain or misery in it. In this story, the demons or ‘asuras’ started meditating and indulging in other pious acts and becoming more powerful, sometimes equal to the Gods in Heaven. This started making the Gods insecure as with time the Demons started wreaking havoc on Earth. The Gods, Vishnu, Shiva, Varuna, Agni, Surya, Indra, Vayu and even Yama consulted and created Durga, the Goddess that no demon could vanquish, not even ‘Mahisashura’ – the most important demon who could change his form at his will. He could become an animal like the buffalo or even take human form. When he heard of this new God, that too a female, he scoffed at the idea. Little did he know that Durga was given the personal weapon of each of these Gods to strengthen her against him: Vishnu – discus, Siva – trident, Varun – conchshell, Agni – flaming dart, Vayu – bow, Surya – quiver and arrow, Yama – iron rod, Indra – thunderbolt, Himalayas – Lion. ‘Mahishasura’ or ‘Mahish – asura’ meaning the Demon in Buffalo form sent his entire army of demons to face Durga, after they all perished he went out to meet her on his own. While changing forms to evade and confuse Durga in a horrific battle, he got pierced by the Goddess with her ‘trishul’ or trident. The buffalo head falls off to reveal his human head, which is shocked at the revenge and ultimate end, at the hands of this epitome of beauty. This moment is frozen in time and that which all of us have gotten used to see, admire and offer our devotions to. Hence, Durga is also referred to as ‘Mahishasura Mardini’ – the Slayer of the Buffalo Demon. Durga Pujo is regarded by India as a festival upholding the fight and victory of good over evil but for the Bengalis the two stories written above actually assimilate. Durga is the daughter of the house where her family bestows her with the strength, courage, wisdom, wit, education and valour to fight evil in the world she lives in. All Bengali households refer to and address their daughters (even daughters – in-law in most families) as ‘Ma’ or ‘Mother’ – the term of veneration used for Durga, the Goddess. This blending and struggle between the human and divine form is best portrayed in Rabindranath Tagore‘s story ‘Devi‘ in film made by Satyajit Ray in 1970. When we read that 26 crimes are reported against women in India every hour, considering how less is the number of such reports, and the daily media coverage of brutal rapes, murders, sexual assaults and acid attacks (refer to http://ncrb.nic.in/StatPublications/CII/CII2014/chapters/Chapter%205.pdf) we realise the importance of festivals celebrating the female power or ‘Shakti’. What might have necessitated the creation of a Supreme Goddess like Durga where none of the male powerful Gods failed? Was it a response to the context and situation of those times? 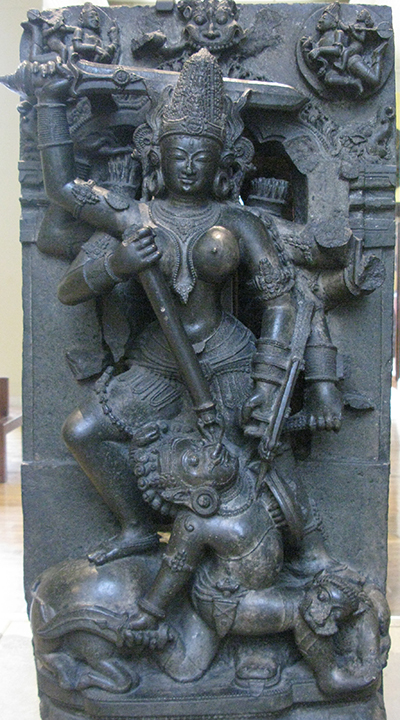 Most of us might not be aware that the present representation of Durga with her 10 hands with different weapons came about only in the 5th – 6th century CE. She gets her weapons, her vehicle or ‘vahana’ the Lion, her attacker and her victory – the iconography – in the text Devi Mahatmya, part of the Markandeya Purana. 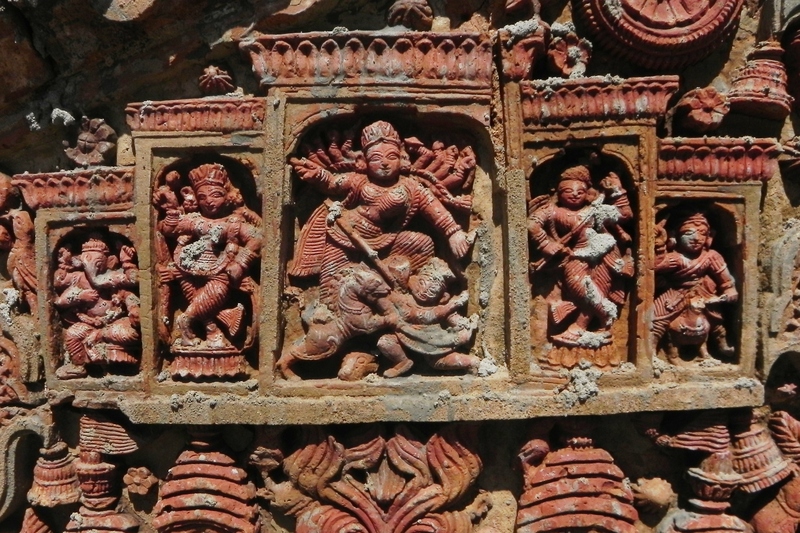 Durga or ‘Mahishasura Mardini’ has been variously depicted in the Patna School of Painting, the Orissan heavily carved sculptures and the terracotta friezes of Bengal temples as an expression of the highest form of art, aesthetics, craftsmanship and creation. So next time you wonder at the amazing outburst of gaiety, colour, fun, laughter, odour of yummylicious food and mustard oil, incense smell, remember the layers of interpretation that make this festival more than a ‘religious’ one where we follow some rituals and traditions without understanding their serious significance. 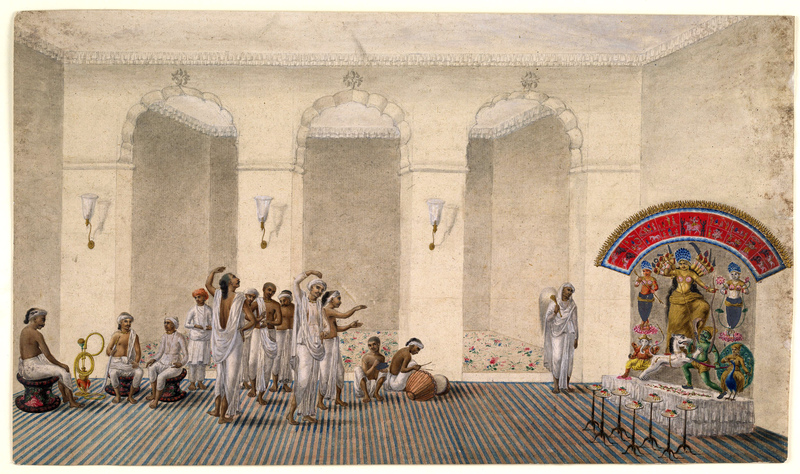 Just to add to the spice, Bengalis were the only community in India to have a Renaissance way back in the 19th century. Bengal was probably the first part of the Indian subcontinent to ban Sati (self immolation of a married woman on her husband’s funeral pyre), discourage child marriage and encourage widow remarriage more than 200 years back. Its male authors Sarat Chandra Chattopadhyay, Bankim Chandra Chatterjee, Bibhuti Bhusan Bandhopadyay, Rabindranath Tagore fought bitter battles against the prevailing society to give respect, space and voice to their women. Some of the first female doctors, lawyers, politicians, artists, filmmakers, musicians, scientists and educators of India were from Bengal. 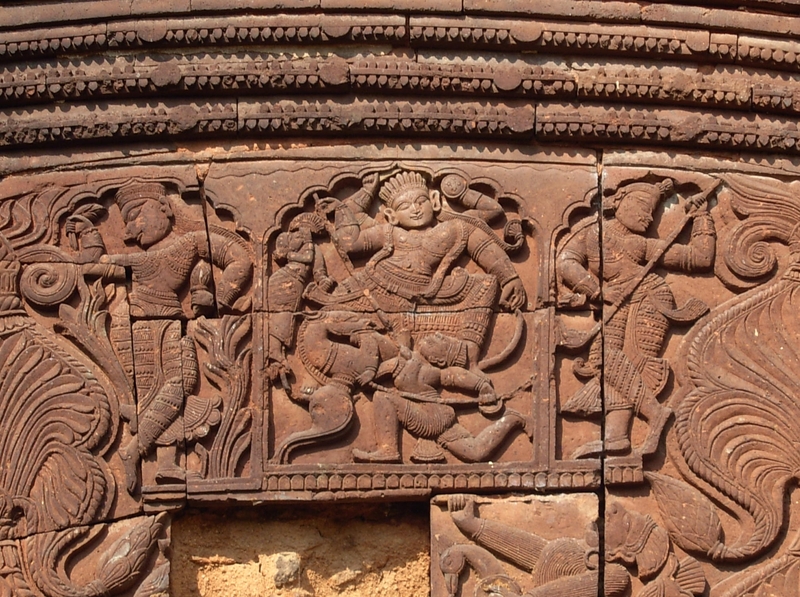 Did the effect of the integration of the two stories of Durga as the daughter of the house and ‘Mahishasura Mardini’ create such an impact upon society? Maybe or maybe not, but most of you will surely agree that Bengali women are considered the most vocal of the female population of this painfully patriarchal country. I recently heard LakhanDas Baul sing in praise of women undergoing periods as the most amazing aspect of womanhood, sitting in a corner of her hut during these days she is experiencing ‘creation’ in the form of ‘Shakti’. The poet hopes to be born a woman in his next birth to experience that power! It immediately came to me that who else but a Bengali could conceive of such a theme for a song?!? Let us cherish ‘Shakti’, ‘Mahishasura Mardini’ and our own selves and our lovely daughters not only during Durga Puja but throughout life. 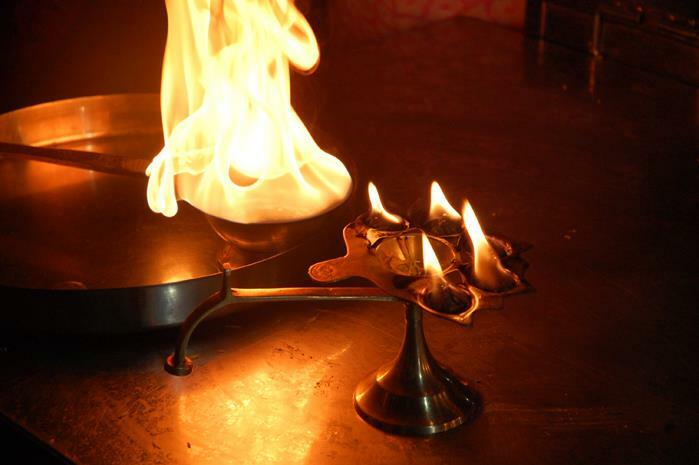 As the Chandi Paath or ‘Shloka’ says, ” Ya Devi Sarvabhuteshu…Shakti Rupenu Sansthita…” beauty and strength go together. Most of research is based on the book ‘Bengali Myths’ by Dr Richard Blurton. Sorry for the Wikipedia links, I usually don’t recommend for their unreliability but do check other sources of information too. A very informative and thought provoking piece poulomi.. Didn’t know that we could visit pandals in “those days” too! It’s a very insightful thought provoking and empowering article… Written having kept the present society and their mindset…. Wonderful!!! !